What do I think should be the basic principle of the Gen3 Formula E car? Well, it must accelerate from 0-200km/h faster than a Formula 1 car and cost a fraction of the price. To achieve this at the right price point and keep the racing exciting, we need to rethink race car design. How do we do that? First, people assume the technological evolution of electric motorsport is linear - evolving in the same way as before. But it's almost impossible to forecast which technologies will be available in three to five years, so this is the first false premise - technological development is exponential and costs go down as technology evolves. The second false premise is that people also think an all-wheel-drive formula car is easier to drive than rear-wheel drive and that all formula cars should be RWD because F1 has been like this for many years. Assuming these premises incorrectly could lead to a future where FE is not as interesting or relevant to fans or manufacturers. 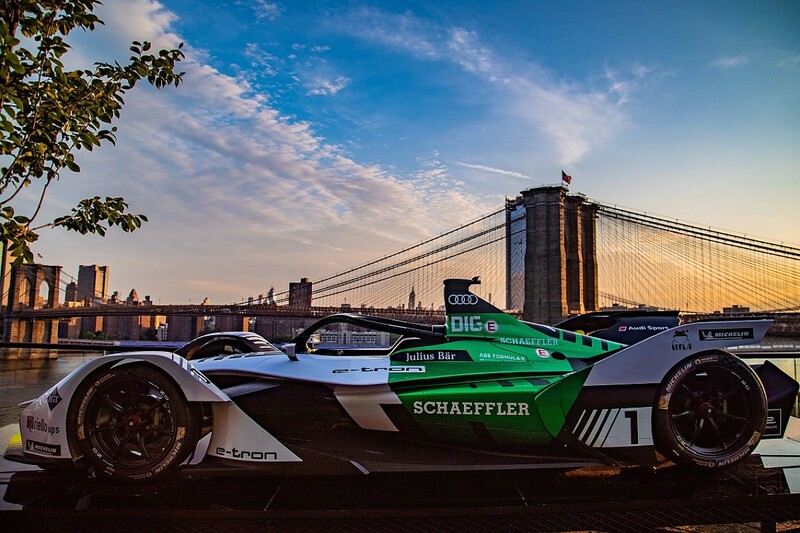 We should develop an electric race car from scratch - thinking about all areas from a pure physics standpoint, not copying a combustion-based formula car and turning it to electric, as it's done today, including next season's Gen2 car. 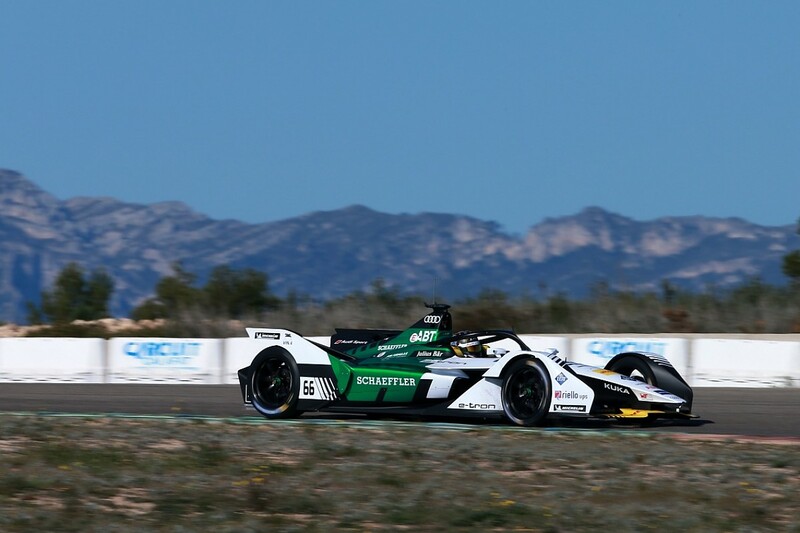 For a start, the right approach for an electric racing car is to make it all-wheel drive, with electric motors connected to each wheel - not individually, as we want to control torque vectoring ability, but using a differential. On top of optimising acceleration capacity, the front MGU (motor generator unit) results in more regenerative braking energy production than having the same weight in a battery (this has been verified in simulations). Simply put: a front drivetrain will weigh 70kg, so you can take that 70kg out of the battery because of the extra energy produced in braking. Counter argument: higher costs. The solution to this is to use the same MGU on the front and rear. Development cost is far greater than producing another motor unit. A symmetrical MGU race car - front and rear same spec, power, etc - is only a little more expensive than a one-motor car. Looking more into the details, I found out that the total increment in development costs is not much more than €1million, which represents around 10% of development, and if divided by all 11 FE manufacturers, is next to nothing. Another counter argument: that AWD cars are easier to drive. This is totally false. I have experienced driving an AWD LMP1 hybrid car for three years and I can affirm this is not the case. Still in doubt? 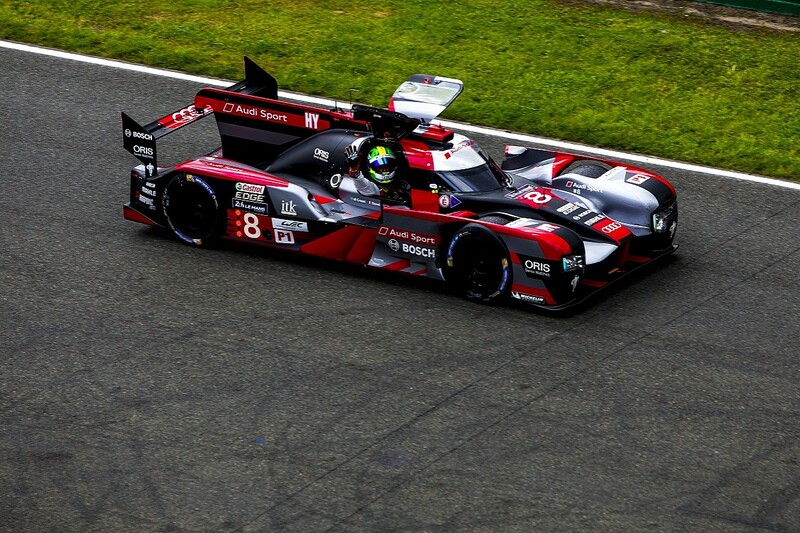 Ask any LMP1 hybrid or rallycross driver. There is no evidence that one is easier than the other. The next important step for the Gen3 race car is that the battery should be flat on the floor, like every other all-electric car out there. Gen1 and Gen2 Formula E cars have the battery in a box replacing the fuel tank, which is not ideal. By having the battery flat, you can distribute weight in such a way that during acceleration the four tyres have exactly the same load and therefore accelerate at maximum performance. The flat battery has more area for the same volume, which means cooling could be partially done by surface dissipation. A further counter argument: this is more dangerous. Not really - if you protect the battery in the same way with its own monocoque, it should be as safe as now. By my calculations, if the weight distribution is around 56-60% front and 44-40% rear (depending on the centre of gravity) the car will dynamically have 50%-50% distribution while accelerating at a constant, approximately 1.2G, which is enough to beat an F1 car to 200km/h. Again, this is the end goal, so design should target 50-50 dynamic weight distribution. The good thing about having the weight forward is that you can also shift the aerodynamic distribution forward and therefore have a more aero-efficient car, which also decreases energy consumption. So how do we fit a car like this with roughly 500kW into super-tight, often super-bumpy, Formula E city tracks? My vision is that the power output should be modular. For tracks such as Mexico City and Marrakech, we should unleash all the power. For Paris and Hong Kong, power should be shifted down according to maximum-speed safety standards. In the same fashion as how F1 chooses its tyres, the promoters/organisers will say Paris is a maximum 280kW, Monaco 350kW and Mexico 500kW, for example. Again, all of this must be done in a way that means only a few parts are open to development. The base technical model we have today is great and should be preserved. In an ideal world, the differences between the fastest and slowest cars on the grid should not exceed 0.5 seconds. If we achieve this, Formula E will lead the industry. People will be more and more impressed and excitement levels will go up. Racing will stay relevant for manufacturers, as their road cars have similar architecture. And, more importantly, costs will stay in control, teams will be profitable and drivers will be paid.